A Shana Tova - A Very Good Year to all our readers...and all of Am Yisrael. Special Round up Post of the past year, coming on Sunday. שימלאו כל משאלות לבך – לטובה! This wasn't the post I was planning to write, but this is something that is going to affect a lot of us very soon, so it's time to get the ball rolling on a community response. Usually when I get emails like this telling me about some new company policy that is going to screw the public I delete it and tell the person to look at Snopes to learn the truth. This one was almost no exception, except that the person who originally sent it, is someone in the know when it comes to flying El Al, so I decided to check it out. Under their current policy (that they modified around 2 years ago), economy class passengers could take 2 bags of 50 pounds each (down from the original 70 pounds). If you needed to take 70 pounds the extra charge was still in the acceptable range (ignoring the high ticket price). But starting November 1 all that will change for the much worse. Another way to phrase it is El Al will be introducing a new price gouging policy. El Al is changing its baggage policies, and making them really really bad for us passengers. Under their new policy, we passengers may only take with us one (1) piece of luggage!!! (Apologies if the table doesn't display right). The El Al fines for additional luggage pieces will be $130 per piece and the fine for overweight will be $240!!! To be blunt, this is outrageous. Our tickets are expensive enough, and the seats are squeezed together tightly enough. Now El Al plans to squeeze us even more with ridiculous luggage allowances! Now is the time to call, write and complain about El Al's policy change. If we consumers don't complain and stop this, we're all going to learn what the word "freier" means. EL AL Israel Airlines, Ltd.
Last week, IDF Chief of Staff Benny Gantz announced that the Army's goal ahead of events surrounding the Palestinian statehood bid "is not to have any deaths on either side." The IDF invested thousands of hours, instructing (indoctrinating) commanders, soldiers, and defense coordinators that rocks do not kill -- Palestinians throwing rocks will not be targeted. 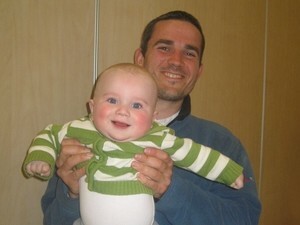 Last week on Friday, the IDF received a failing grade, when Palestinian rock throwers succeeded in murdering 2 Israelis; Asher Palmer and his 8 month old son Yonatan. 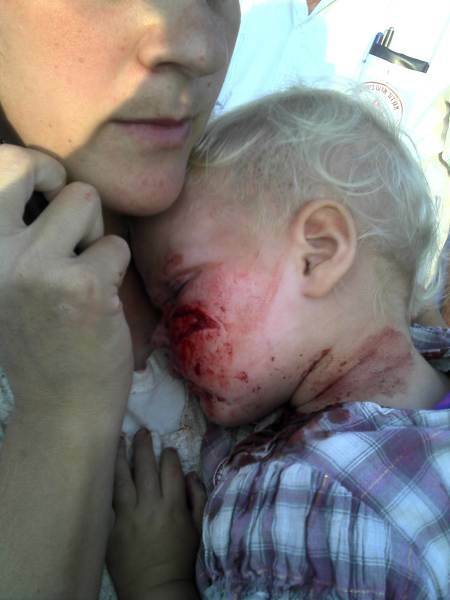 2 dead on Friday...and another 16 month old Israeli still in serious condition from rock throwing last Wednesday. Last week Netanyahu said, “…I often hear them accuse Israel of Judaizing Jerusalem. That's like accusing America of Americanizing Washington, or the British of Anglicizing London. You know why we're called ‘Jews’? Because we come from Judea." Yet after Netanyahu's "historic" speech last week at the UN, there was an Israeli radio report this morning stating that Israel is considering capitulating to Palestinian demands for yet another housing freeze. So it's no surprise at all that the IDF fails -- putting the lives of Israeli civilians at risk before those of terrorists, when our government and leaders serve up meaningless platitudes about Jewish rights while simulatenously destroying Jewish-owned homes in these same exact places. Hamas Founder's Son: "A Palestinian state will bring war to the region"
During his visit to South Florida, the 33-year-old Yousef spoke last Wednesday to more than 500 people during an appearance in Weston sponsored by the Chabad of Weston and the Daniel Cantor Wultz Foundation. 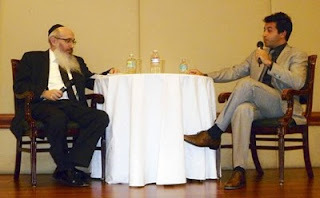 On Thursday, he addressed two Chabad of Downtown audiences in Miami. Yousef, who was born in Ramallah in the West Bank, said Israeli soldiers severely beat him when he was 17-years-old. Soon afterward he was contacted by the Shin Bet to spy for Israel and imprisoned for 16 months to "not arouse suspicion." He said during his time in prison he saw Palestinians torturing other Palestinians. Hamas wanted to know who gave information to the Israelis, Yousef said. Hundreds were tortured and 16 were killed. Not one had a relationship with Israel, he said. Yousef said he asked himself, "What is the difference between Israeli soldiers and the Hamas military wing?" He said, "For the first time I started to question the reality of the movement my father established." Yousef said he eventually came to see that Israel was not the enemy. "We are the enemies of ourselves," he said. "Our leaders sent us to death for their own reasons and they still do. They care about their bank accounts and their positions. They lie to you on a daily basis for their selfish gain." During a question and answer session following his talk in Weston, Yousef said, "There should have been a Palestinian state 50 years ago if the Palestinians wanted a state." Instead, he said, "they wanted to destroy Israel." The establishment of a Palestinian state now will "destroy the dreams of the Palestinian people. They think they will be free. A Palestinian state will bring war to the region and the Palestinians will be the first to pay that price." After 48 hours of foot dragging, the Israeli Police have admitted that despite their initial insistence, and the insistence of the IDF spokesman, Asher and Yonatan were murdered in a Palestinian terror attack this past Friday, when Palestinians threw rocks at the Palmer's car as it traveled on Highway 60. The police have determined via a CT scan of Asher's skull, that cracks were seen in his facial bones, caused by the rock which was found in his car (and was hurled through the windshield of his car). Pictured at right, Asher and Yontan Palmer, murdered by Palestinian Terrorists who hurled rocks at the Palmer's car while driving on highway 60, this past Friday afternoon. This past Friday afternoon, the Muqata reported the terror attack on a father and infant near Kiryat Arba, in which Palestinian Arabs threw rocks at a car, causing it to overturn, killing the car's occupants. None of Israel's primary news sources mentioned the attack, rather amorphously stated that a Jewish car overturned near Halhoul on highway 60 near Hevron and the events leading to the "car accident" were still underway. Just hours after the murderous attack, in which Asher Palmer (25) and his infant son Yonatan (age 8 months) were murdered by Palestinians, PA President Mahmoud Abbas gave his speech to the United Nations why the Palestinians deserve a state of their own. Israel's courts have already documented the facts: The car being driven on highway 60 from Northbound, suddently swerved, overturned, leading to the death of Asher Palmer (25) and his infant son Yonatan (age 8 months). The windshield had a large hole in it, and inside the car was a large rock, covered with blood. However, the police want to also an additional autopsy and blood tests to rule out alcohol in the blood or a heart attack as the reason for car swerving off the road and over-turning. The judge denied the police's request saying that the evidence is adequate that a rock hit the windshield, and the family should be able to bury their loves ones as quickly as possible, in accordance with Jewish law. Israel's prosecution is now trying to force the issue with Israel's Supreme Court. This entire story is currently under a court imposed "media blackout" -- which serves no one. 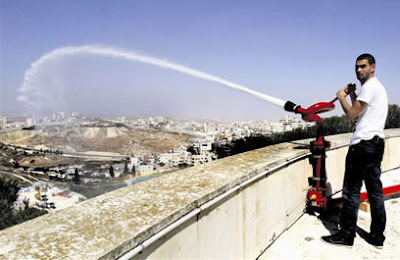 Hadassah Hospital on Mount Scopus recently purchased and are installing 4 high-powered water cannons at the cost of hundred of thousands of shekels to deal with the ongoing arson threat by their Arab neighbors in the Jerusalem neighborhood of Issawiya. The hospital, which treats any sick or wounded person, regardless of race, religion or nationality has been repeatedly attacked. Arabs, from the nearby Jerusalem neighborhood of Issawiya have repeatedly tried to burn down the hospital buildings over the past few years, they've even injured staff members with tear gas they threw into the hospital compound. Furthermore, the hospital is afraid that the Arabs, once they declare a State, will riot and try even harder to reach and destroy the hospital. Hadassah's concern is not unfounded. There is a long history of Arab terrorism against Hadassah hospital and it's staff. This past week, the hospital conducted a drill where the hospital gates were closed and protected against an Arab mob attack. These 4 water cannons are installed in locations that will maximize their ability to extinguish any hospital buildings the Arabs set on fire. Golda Meir once said, "There will only be peace when the Arabs love their children more than they hate us." Unfortunately, the Arabs would apparently prefer that their children be unable to receive world class medical care, so as not to see the evil flag of the Jewish state waving nearby. Sunday Morning Update: There is currently a court-ordered media blackout on the details of Friday's terror attack that left 25 year Old Hillel Palmer and his 8 month old son Yehonatan dead on Highway 60. UNCONFIRMED UPDATE: One source is saying that there was a bullet wound in the father. This is unconfirmed. There is also a report that the driver's gun is missing. Police are planning to do an autopsy (or an MRI autopsy) to determine the cause of death. 4:17 PM Rioting and stone throwing has begun in the Shomron. Riots near Maaleh Shomron. 2:45 PM 2 Jews killed by Arab Independence Rocks near Hebron on Highway 60. Car was stoned, smashed through windshield and driver lost control. The 2 that were murdered were a 30 year old from the area and his baby. Arabs rioted near Kiryat Arba earlier today after an Arab youth was killed in a traffic accident with a Jewish driver. The youth had run right into the main highway. The driver immediately called emergency services. 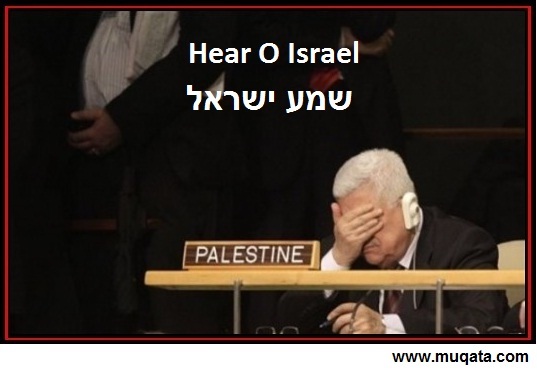 Why is Abu Mazen saying the Shema? During US President Obama's speech at the UN yesterday (Sept 21, 2011), PA President Mahmoud Abbas (Abu Mazen) took a break to say the Jewish prayer, the "Shema." Could it be that he heard Palestinians shot at an Israeli car traveling 7 minutes from Kfar Saba on Highway 55 in the Palestinian village of Nabi Alias (Haaretz's favorite peaceful place)? Luckily, the driver wasn't injured, but Police recovered the bullet in his car that had smashed through the windshield. Mahmoud Abbas: Its almost Rosh HaShana, the Jewish New Year -- you too can repent! The time for your teshuva is now, and you can still ask your people to stop the hatred, stop the terror and stop the incitement. Saying the Shma is a good first step. Your friends from the Muqata. Its the IDF's new, non-lethal, crowd dispersal device...and it was used today to disperse a Palestinian Independence Riot in Kalandia, Jerusalem. The device projects non-lethal sound waves -- resulting in a deafening sound people cannot stand. "The Scream" is so effective that not even earplugs are effective as a deterrent. JERUSALEM—The knees buckle, the brain aches, the stomach turns. And suddenly, nobody feels like protesting anymore. Such is the impact of the Scream, the latest weapon in the Israeli army's high-technology toolkit. Launched Friday afternoon near the West Bank village of Bil'in, after another in the almost daily demonstrations against Israel's controversial security barrier turned violent, Israel's secret weapon lived up to its billing, by most accounts. Witnesses describe a minute-long blast of sound emanating from a white Israeli military vehicle. Within seconds, protestors began falling to their knees, unable to maintain their balance. An Israeli military source, speaking on the customary condition of anonymity, confirmed the existence of the Scream, or Tze'aka in Hebrew, in an interview yesterday. "The intention is to disperse crowds with sound pulses that create nausea and dizziness," the Israel Defence Force spokesperson told the Toronto Star. "It is probably the cleanest device we have ever had, when you compare it to rubber bullets or tear gas. It is completely non-lethal. It has no adverse effects, unless someone is exposed to the sound for hours and hours." IDF officials said the technology was researched and developed over a span of five years as a result of "lessons learned" during the Israeli army's withdrawal from Lebanon. "We had a situation during the Lebanon withdrawal where we had hundreds of people storming IDF positions," a military source said. "As a direct result, it was decided we needed the means for a more benign way to control crowds." Army officials said the Scream might become an element in its strategy against Jewish settlers and their supporters in August, when the Israeli government begins uprooting 25 settlements in the Gaza Strip and northern West Bank. "We will use what we need to use during the disengagement, depending on the circumstances on the ground," the official said. "Nobody can foretell the future." The IDF is saying little about the science behind the Scream, citing classified information. But the technology is believed to be similar to the LRAD — Long-Range Acoustic Device — used by U.S. forces in Iraq as a means of crowd control. Hillel Pratt, a professor of neurobiology specializing in human auditory response at Israel's Technion Institute, likens the effect of such technologies to "simulated seasickness." "It doesn't necessarily have to be a loud sound. The combination of low frequencies at high intensities, for example, can create discrepancies in the inputs to the brain," said Pratt. "Basically, the brain receives a signal that your body has lost balance. You feel like you are tilting even when you are not. The discrepancies can cause headaches and nausea." Pratt said such phenomena sometimes occur by accident. He remembers one instance in which office staff at an Israeli bank building fell ill after the installation of an industrial air conditioning unit. "When everyone became nauseous, tests were conducted to find a contaminant. But nothing was found. Finally, acoustic tests were conducted, and a certain low-frequency sound was discovered," said Pratt. "It made people sick, all because of the way the noise of the new air conditioner resonated in that particular space." Israeli and Palestinian activists are unsure what to make of the IDF's new machine. Some who were witness to the deployment on Friday said Palestinians have already learned to neutralize the Scream by stuffing cotton in their ears. "Just before the sounds began, a Palestinian man I know from Bil'in gave me cotton for my ears. He said, `The Israelis are going to make a noise. This will help,'" said Lisa Nessan, an International Solidarity Movement activist from Ramallah. "How did he know to do that? Obviously it must have been used at a previous demonstration. Or the Palestinians wouldn't have been prepared for it this time. "I was lucky because the cotton seemed to filter out the problem. But I saw other people around me sit down because they couldn't keep their balance. I really don't know what to make of it. I've never seen anything like it before." 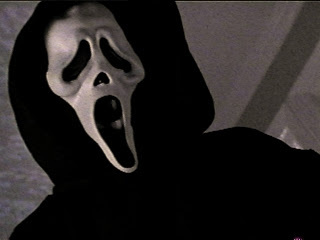 Arik Asherman, a leader of Rabbis For Human Rights, was cautiously optimistic the Scream could make a positive difference. 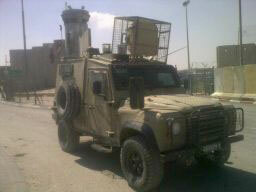 "We've been arguing for years that Israel should engage non-lethal approaches to crowd control. If this thing actually works without doing any permanent damage, that's a step forward." But Asherman said Israeli officials would be wise to use the Scream sparingly, lest it become a tool to "sanitize dissent." "We need to remind ourselves the problem is not the demonstrations, but what the demonstrations are about," he said. "If this makes it any more difficult for Palestinians to express themselves in a non-violent way, that is problematic. The best way to disperse demonstrations is to deal with the actual issues. Reminds of of my post from a few years ago...10 Muqata Bonus points to the first person who connects this post to the Hebrew phrase, "פעם שלישי, גלידה"
A few readers of the blog have sent the Muqata an interesting issue that has arisen in the city of Modi'in. The city of Modi'in and the Muqata Blog have a love/hate bittersweet relationship. There are pockets of normality in Modi'in and I have many friends in the city -- yet the current issue once again exposes the wacky uber-liberals that seem to rule the place. 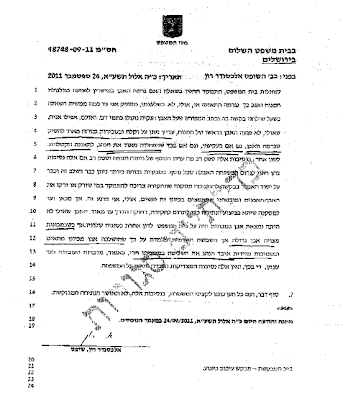 Modiin School prohibits boy from putting on tefillin. There is a couple named Brig and Michelle Jones that live in the towers on Migdal HaLevanon st. (where I also live) who I believe may be Christian missionaries. To summarize, Brig is a Christian spiritual leader who has been involved with missionary churches in the U.S. They are here in Israel doing "guerrilla ministry" (according to one of their friends) and are trying to establish a church in Rishon Litzion (a Hebrew website already exists). Brig was involved in an interview titled, "Congregation in Israel-ministry to Jews." They seem eager to form children's groups and friends of theirs have posted pictures online of Brig playing soccer with neighborhood boys in the big park on Migdal HaLevanon (some of whom I know come from religious Jewish families). It is not clear to me if the parents of these children are up-to-date on the Joneses' background. To be clear, I do not have solid evidence that they are missionaries. But there seem to be enough warning signs to raise a general alert and I welcome a response on the part of the Joneses. I think this issue should be investigated further, as it is my belief that missionary work is illegal in Israel. I am not interested in getting involved in any political back-and-forth with anyone on this list. I just want to alert parents and people in the neighborhood to a potential threat. "Pray for Brig and Michelle as they have returned to serve in Israel and have many decisions to make!" "Please pray that the Lord will preserve and grow for Vincent and Gift as they undergo persecution for the gospel" - it sounds as if the church is not against sending members to areas where missionary activity is frowned upon). The following is the account of one of their friends, who visited with "Pastor Jones" here in Israel. "Brandon Mann serves here at Bonhomme in many ways, including teaching a Spiritual Formation class on Sunday mornings. He also founded and runs a ministry called Ministries@Work—you should ask him about it sometime. But last month, Brandon went to Israel for ten days of service with a dear friend to Bonhomme, Brig Jones. Here are some of Brandon’s reflections on this time of ministry:"
Talking to Arabic youths and a restaurant manager in Nazareth about the reality of Jesus’ death, resurrection, and ascension (which is disputed in Islam). Speaking about Christ’s love to a holocaust survivor’s daughter in Caesarea. Explaining Jesus’ sacrifice to our Arabic cab driver over lunch in Bethlehem (which is in Palestinian controlled West Bank). Defending the authority of Jesus the Messiah (i.e. “Yeshua Hameshia” in Hebrew) with orthodox Jews at the Western Wall of the temple in Jerusalem. Helping lead a Russian Bible study and worship service in Ashkelon (6.5 miles north of the Gaza Strip). “I also had the great blessing and privilege to teach 'Sabbath School' to about 100 adults at Pastor Jones’ church “Grace and Truth.” Grace and Truth meets in a reception hall down an alley in the town of Rishon LeZion between Tel Aviv and Jerusalem." Ministry headquarters are in Arnold, Missouri. Below is the blog of a family that came to Israel and visited the Joneses. If you look specifically at "day 11" (under "Blog Archive" on the left side, you can choose which day to read about [or click here to see a direct link of the cached backup]), there are pictures of Brig and friends playing with kids in the park in Modi'in. Modiin, being Modiin, immediately had its share of knee-jerk reactions from the uber-liberals. Btw. I know from personal experience that there are orthodox Jewish movements who are actively working on bringing secular Jews (back) to a religious lifestyle or trying to convince gentiles married to Jews to consider conversion to Judaism, but that wouldn't be considered missionary activity, right? Because after all, living in the Jewish State, educating people about Judaism should be outlawed (in Modi'in). I would strongly recommend against harassing the missionaries because that can be considered illegal depending on the type of harassment. Also, historically, missionaries have not been very successful in converting Jews in Israel so I wouldn't' worry about it too much. No one said anything about harassing them, but this commenter wouldn't worry too much because missionaries aren't very successful. Sort of like pedophiles...they aren't always that successful...so why bother letting the community know about them? After all, they are only targeting kids. I was very sad and a bit stunned to read this posting, which reminds me of the pashkvilim (posters) one sees in Mea Shea'rim. I happen to know this lovely couple and the posting is a gross violation of their privacy and defamation of character. I would think that those who are so "haredim" about their religion would also be concerned about not falling into lashon hara. The bottom line is this: There are certain BASIC issues about living in Israel that one expects, and not having Christian missionaries target children is one of them. Kudos to the remaining sane people in Modiin that stand up for the protection of their children, and my utter disdain to those who in the name of pluralism believe that everything in Modiin should be allowed. And to Brig and Michelle Jones, please missionize somewhere else...Gaza would be a nice place to start. A person shall not discuss conversion with a minor (under 18) without his parents consent. A person who solicits a minor to convert his religion, the punishment is 6 months in prison. A person who conducts a conversion ceremony for a minor or any other action which could cause a minor to convert, in violation of law 13a, the punishment is 6 months in prison. Thank you to the dozens and dozens of readers who emailed the Muqata, notifying us that blogger was broken and that the Muqata Blog was offline for 12 hours. For the future, if blogger is offline/the blog appears offline, try going to www.muqata.com which will redirect you to our backup, emergency site. As you know, Israel is currently in the midst of a diplomatic flurry to try and stop the Palestinians from a unilateral declaration of a State. The problem is that there will never be a peaceful resolution to the Palestinian issue. There is no way that Arab refugees who fled Israel in 1948 and are currently living in "Refugee camps" in Lebanon, Jordan, Syria and other places will ever abandon their hopes and dreams of returning to Yaffo (Jaffa), Tel-Aviv) Haifa, Tzfat (Safed), Lod, or to the locations they used to live before running away in 1948. No Palestinian leader will ever abandon the "Right of Return," and no leader will ever abandon their dreams of ruling the Old City of Jerusalem and the Temple Mount. 1. Motzei Shabbat (Saturday Night) I drove my son to his pre-IDF yeshiva (Mechina Kdam Tzvait) which used to be located in Atzmona, in Gush Katif before its forced evacuation in the "Disengagement". The yeshiva's name was shortened to "Otzem" (strength) after the forced relocation...and the yeshiva has been rebuilt in the community of Naveh. Naveh is located a few kilometers south of Gaza, and a few kilometers east of Egypt -- its not in the friendliest of places. Naveh is under construction -- as homes are being built for the refugees of Gush Katif (6 years later). Sand is everywhere, and my son says its at the end of the universe. At night, there were no nearby lights of neighboring cities....everything was dark, the sky over-head was brilliantly lit by stars and the moon. The yeshiva is mostly temporary buildings while the permanent ones are still under construction. From the parking lot, we trekked through lots of sand as I accompanied my son to his dorm room. Large signs from elite IDF units were hung over different dorm buildings...either as motivation or as appreciation from the yeshiva's graduates who have gone to become Israel's best soldiers and officers. I couldn't help but think of Gush Katif...the same sand was everywhere, the same atmosphere, the same pioneering spirit. Despite having relocated to the sand covered town of "Naveh" in "Israel's pre-67 borders" which are considered holy by the Zionist left, I felt on edge that G-d forbid this community would be forced to move yet again. 2. Yesterday morning as the Palestinians made their preparations to request statehood from the UN, I was called as an MDA-medic first responder to a traffic accident. A Palestinian car had flipped over, and we took care of the wounded till a Palestinian Red Crescent ambulance came to take them away. Meanwhile the local Palestinian fire truck arrived, to see if there was anyone to extricate from the upside-down car (there wasn't). The Palestinian firemen, all wearing their standard grey camouflage "firemen's" uniforms peaked through the windows of the car. The fire-chief sauntered over to the car, holding a cigarette in his hand, as he examined the underside of the car...and the gas tank. It was at that moment, I grabbed a fellow volunteer medic, and quickly left. Why firemen need grey camouflage uniforms is a challenging question -- who are they hiding from? Why do they need to be camouflaged? Is the fire fighter crew simply missing automatic weapons? 3. Rules of Engagement has been handed out to all IDF First Response Units in the Jewish communities of Judea/Samaria, for how to deal with potential Palestinian riots, infiltrations and unrest. I think we need a lawyer for each unit, since the blame for any response to a complex situation will automatically bring the IDF, Police and world media clamoring for the arrest of any settler defending himself or his community. 4. Palestinian flags try to compete with Israeli ones throughout the West Bank...with the Palestinians losing. My car has Israeli flag mirror covers on it...much to the annoyance of the Palestinians...and there were many reported cases of Arab rock and molotov firebombs thrown last night at Israeli civilian vehicles. The mosques of the Arab villages are all decked out in flags with extra green lighting, giving a very eerie glow to them. 5. The religion of peace has teamed up with a radio station in Somalia, and Somali kids can win exciting prizes such as weapons, rifles, bombs and religious books...in a Koran contest. The Andulus radio station is run by the al-Qaeda-linked al-Shabab militia. The station announced Monday that the first prize winner in the contest received a rifle and $700, the second prize winner got a rifle and $500, and the third prize winner received two bombs. All three children also received religious books. 6. Last but not least, the Muqata hereby offers its recombination in the Israeli Labor party primaries today: Vote for Shelly Yechimotich. The alternative, Amir Peretz is a party hack, who was the arrogant defense minister of Israel during the Second Lebanon War, which Israel didn't win. Shelly is a left-wing socialist, but has an ideological backbone not based on hatred. Many Labor voters were incensed when she announced 2 weeks ago that the settlements weren't evil and were in fact, started by Israel's Labor party. If you are a member of the Labor party, vote for Shelly! 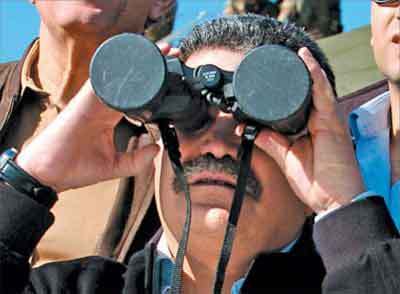 World Famous Photo of ex-Defense Minister Amir Peretz. In the very near future the Palestinians will be upgraded in the UN, either into a member state, or something close enough. This is not the first time the UN has declared them a state, but there is one difference this time. The Palestinians have declared that they plan to use their upgraded status to initiate a new front against Israel, international lawfare (as if they aren’t already doing it on a smaller scale). And yes, Peace Now and Michael Sfard are likely to help them with their latest war by translating and transferring the Judea/Samaria phone book to countries around the world, thus helping the Palestinians persecute and prosecute all Settlers (including families in Gilo and the Old City, but that's only the first step towards eventually also going after those also living in Tel Aviv). That’s going to make an uncomfortable situation for Israel, and will require we waste more resources learning to defend ourselves against this new terror strategy, instead of building our country, but we’ll get past it, like we always do. And they will continue to use donor money to try to destroy our state instead of building theirs, like they always do. But think about it, reciprocity is a great weapon. Once they’re a state (even under “occupation”), the Geneva convention does not allow their citizens to use violence or force against Israel to fight the "occupation", that would open them up to war crime charges in the same courts they plan to attack us in (not that there would be equal/fair treatment). But in fact, it opens them up to more liability then they have now because it would place more obligations on their behavior (assuming they would be considered a signatory of course). I wonder if they thought about that? Personally, I don’t believe they are capable of “non-violent” protests, no matter how much the media (or their Lefty friends) choose to portray their violence as non-violent. In a few more days we’ll see if things start to escalate into yet more violence on their part. And that’s not my point either. I was simply thinking, what steps Israel can take in response? The most obvious is immediately annexing all of Area C (which resolves the Peace Now problem mentioned above). Let them have their mini-terror State in A (for a little while at least). Again, the territories in question are disputed (even though they all really belong to Israel). But that’s minor; Annexing is effectively more declarative than anything else. The real steps Israel can take is breaking ties and letting them know in advance this is what we’ll do. No more tax collection or fund transfers, no more electricity, no more working in Israel, just to name a few ideas. “Declaration of War” you say? No less then their announcement that they plan to attack us in the Hague as soon as they can. It will lead to the collapse of the PA? Good. Let it. All these countries want a Palestinian State? Well, then let them pay for it, and take responsibility for it. It’s not our problem. We had a treaty, they broke it (many times). We’re not interested in dealing with them anymore. They've got a state, we have a border conflict with them, but they certainly aren't our responsibility. Yes, and then maybe the IDF can get back to its real job of defending Israel against Arab terrorism, rather than acting as the PA’s prop and interlocutor in the government. The sad truth is, the government already knows all of this, it’s just the will that is lacking to take the necessary steps, until it will be too late for them to be effective. Last week I wrote that Turkey has more to lose than Israel does in this game Erdogan is playing. Offline someone wrote to me that Turkey is a country with 70 million people, an important supplier and middleman for certain resources, and only half voted for Erdogan and hate Israel, so why antagonize the other half who normally couldn't care less. My feeling on that is that by not responding, the "other half" won't realize they have what to lose, because that other half won't do anything if this doesn't affect them, and with Turkey on the fast track down the third world road, we certainly have little to lose by responding and pointing all this out to them. In fact, not responding to these attacks is just another form of appeasement, and in the Middle East, that sends a message of weakness. As it happens, my analysis on who has more to lose is proving accurate. The astounding Omri Ceren wrote a Commentary post called "Note to Erdogan: Nobody likes the Turks". In it he mentions a little bit of unpleasant Turkish history, some of it recent. But more importantly discussed the growing political isolation of... Turkey, not Israel. Bulgaria and Greece just signed military agreements with Israel. The EU have expressed their displeasure with Turkey, EU countries helped Israel against Turkey's Flotilla II, and most significant of all, the Russians have sent their navy (including a nuclear sub) to Cyprus's waters to explicitly defend their offshore gas drilling investments being done by by (US) Noble Energy against Turkish threats. 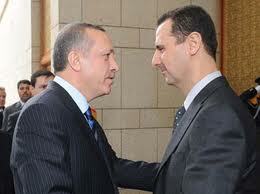 And while Erdogan is cozying up to Syria and Iran, he's even now managed to tick off the Egyptians, of all people. My point being, dear 50% of the Turkish people who are not among those who voted for Erdogan and who hopefully inherently don't hate Israel (and the rest of you Turks too). Please note that your Prime Minister is politically isolating your country from civilization, and even his attempts to cozy up to third world dictators and other evil people isn't going as smooth as he would like. Some people like to say, "It's not the Jews I don't like, it's their government". Let's get real. It's the Jews they don't like, and that provides them with a politically correct way of saying it. Democratically elected governments don't exist in a vacuum. Erdogan's government didn't win 3 elections in a row (in landslide elections of around 50%) because the Turks aren't behind him and his positions. The Turks need to know and understand what they are losing because of their choice of Erdogan's leadership. To paraphrase President Obama, if you friends aren't going to let in a little light into the relationship and tell you the truth, then who will? Labels: cold turkey, Turkey. Erdogan. Isolation. In a full frontal attack this week, Haaretz and Rabbi Yoel Bin-Nun have joined forces to attack the newly formed, “Jewish Authority” -- "JA"
Haaretz doesn’t surprise me, since anything with a connection to Judaism or the Land of Israel is automatically the antithesis of “Haaretz”. I find it simply amazing that other people, like R’ Yoel Bin-Nun reject the idea, without even having a basic understanding of what the JA is about. First of all, the JA exists to fill any vacuum created by the State of Israel. It is not competition to the State, and alternative of the State, or in conflict with the State. Rather, in the event that the State of Israel abandons any part of the Land of Israel, the JA announces that it will take possession of it within the process of self-determination. On behalf of the Jewish people, the JA will take possession of any area relinquished by the State of Israel. The idea is mostly declarative, yet it is leverage against the Palestinian Authority. Haaretz immediately took this idea and warped it into a terrorist organization, and combined it ideologically with the “price tag” actions that extremists perform. Jewish authority has taken shape on the West Bank, and its goal is to replace the state as a sovereign authority, and eventually also perhaps to supplant the authority of the IDF. We are not talking about the Yesha Council, which "bows down" to government authorities, but rather the creation of a new insanity that will sponsor terror organizations under its wing. "Instead of a governmental authority which operates to gleefully crack the skulls of Jewish youths, instead of what the state calls 'the rule of law,' there are now Jews who stand up, with the blood racing through their veins. They are not keeping mum as their land is being destroyed. We Jewish citizens who reside in strips of land designated for annexation to an artificial enemy state, to be abandoned to the authority of such a state declare that this will never happen. No, we refuse to be expelled; we refuse to be abandoned and to allow our land to be betrayed. Sovereignty and responsibility! Rights and obligations!" 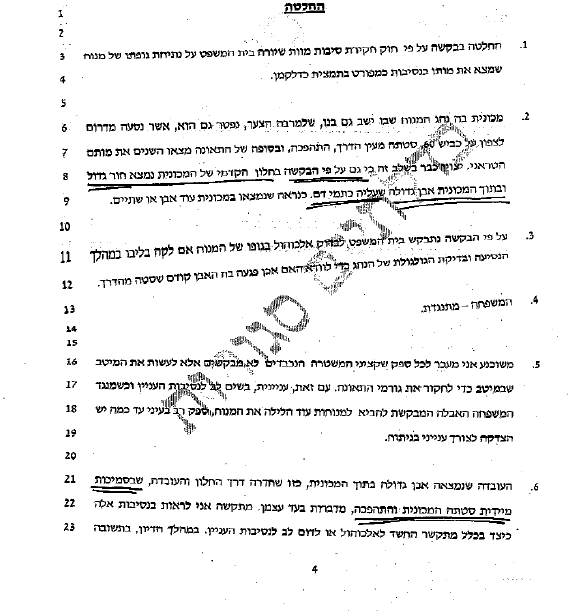 This is how Bar-Ilan University Prof. Hillel Weiss lays the ideological founding for the settlers' military wing. 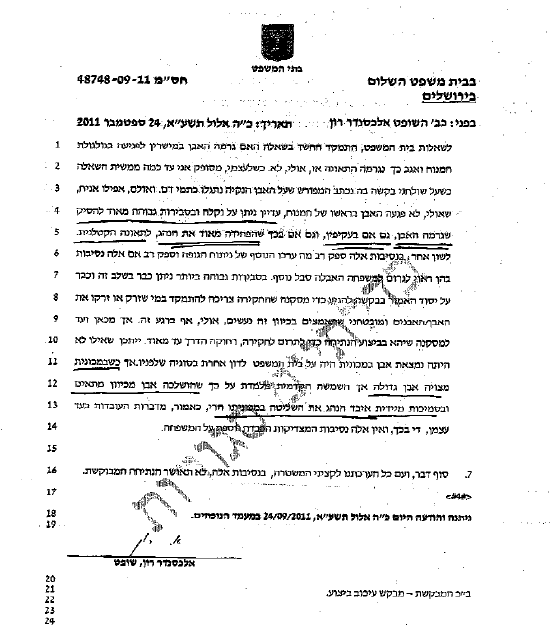 For the purpose of carrying out this ennobling concept, the establishment of a "Jewish Authority" (parallel to the Palestinian Authority ) was declared this week; its objective is to replace the sovereign authority of the state of Israel, "which is disavowing its responsibility as a Jewish state founded for the Jews, and which chooses to serve the enemy of the Jewish people." Statements published by the headquarters for the "rescue of the Jewish people and the land of Israel" indicate that hundreds of settler representatives were present at the founding conference of this new Jewish Authority, which was held at the Nofim settlement. Participants included Yitzhak Shadmi, Rabbi Michael Ben Horin, Rabbi Shalom Dov Wolpo, Yitzhak Feldman (a leader of the Haredim for Judea and Samaria group. ). The stunning leap from “declaring an ideological infrastructure” to connecting it to “price tag” actions is beyond belief. The ideological infrastructure is consolidating, and its political goals are being supported by an organizational framework. No, this is not a political party. A party is a detested concept that is required to vie with other parties, and contend with contrasting outlooks and heed the laws of the state, laws which the "infrastructure" does not respect. From this point on, the "infrastructure" will serve as a sovereign authority. As a source of authority, it will require tools of enforcement. Tools which are not operated by organs of the state of Israel, such as the IDF or the police. It will establish its own enforcement framework, one whose essential parts are already ready to go full swing. Members of the "price tag" gangs may not wear uniforms, but they have in their possession firearms, some of which are IDF property, and they have an abundance of targets to attack. Haaretz seems to have forgotten how the Zionist Enterprise began…and that the JA isn’t intent on taking away any authority from the State of Israel. With criminal ease, this phenomenon can be ignored, or dismissed as a deluded organization preoccupied with ridiculous visions conjured up by persons who have not taken their medication. Even if these people are serious, one might say, they are still dealing with matters on some far-off reservation. One might keep ignoring this up to the point where it turns out, if it hasn't already turned out, that they really hold authority in the state of Israel. Do you remember how the "settlement enterprise" began? Haaretz would much rather spew their poison that bother evaluating the actual proposal at hand. In the ongoing war for the character and soul of the Jewish State, The "New" Israel Fund won an important victory today. Israel’s Supreme Court has ordered the village of Rakefet, located in Northern Israel, to allocate land for housing to a young Arab couple, Fatina and Ahmed Zubeidat. The ruling comes ahead of a final verdict by the Supreme Court challenging the existence of regional selection committees, which determine whether applicants are “suitable residents” for the country’s rural Jewish villages. The petition to the Supreme Court was submitted on behalf of the Zubeidats by attorneys from Adalah: Legal Center for Arab Minority Rights in Israel. 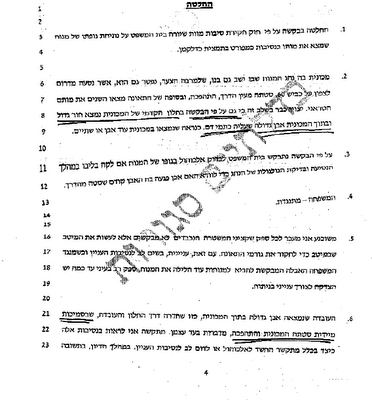 Other members of the NIF family joining the petition are: Arab Center for Alternative Planning; Bimkom: Planners for Planning Rights; Jerusalem Open House for Pride and Tolerance; Another Voice in the Galilee; and Mizrachi Democratic Rainbow (Hakeshet). Under the guise of "democracy" and "rights for all", the New Israel Fund has managed to convince the High Court to force small Jewish communities to accept Arabs as well. If the New Israel Fund really cared about rights for all people in Israel, they would also be at the forefront of allowing Jews to live in Jaffa/Yaffo (the twin city of Tel-Aviv). Instead, Jews who wish to move to Yaffo are branded as settlers and colonizers. They are shouting "no to racism" in Hebrew, but at the same time they are shouting "Jews out" in arabic. Iran doesn't need to target the Jewish State. NIF is destroying it day by day. This is an interesting Hasbara video someone sent me. If you like it, pass it on, let's see if it can go viral (currently at 230 views). I posted the following memorial tribute to Nancy Morgenstern in 2006 as part of the "2996 Project" to remember 911. I'm reposting it again now. I was sent a link to the 2996 Project from fellow blogger, Smooth Stone – it’s a blogger-based initiative which commemorates the 2,996 victims of 9/11, so I volunteered to post about one of those 2996. While many of my friends and relatives had brushes with near-death that awful day, and each individual story is more poignant than the next, I knew it was only a matter of time till the diminutive degrees of separation of Jewish Geography would connect me to those less fortunate who did not survive. I never met Nancy Morgenstern. Yet I’m good friends with her brother-in-law in Israel, so I guess in theory, I might have met her at a simcha, a family celebration of some sort, at some point in time. On September 11, 2001, Nancy Morgenstern, 32 worked for the bond-trading company Cantor Fitzgerald on the 104th floor of WTC Tower One. Sometime the next day, I spoke with my friend who told me his sister-in-law was missing, and we added her name to our tehillim lists, Chana Perel bat Sara. Over the coming months, my friend told me more and more about Nancy, as more never-known stories from her friends made their way to Nancy’s parents. Nancy was first and foremost, a proud Orthodox Jew. She was also an avid cyclist, and participated in many races. There are many stories on her memorial website from her cycling friends that describe her passion for life and strict adherence to kashrut and Shabbat, even when on cycling tours in a non-Jewish environment. A kollel was founded in her memory. A Sefer Torah is being written in her memory. A Magen David Adom ambulance in Beit Shemesh was donated in her memory, and besides providing an opportunity to save lives, many new lives saw their first light in that ambulance as well, as over 20 babies were born in Nancy’s ambulance on their way to hospitals in Jerusalem. A whole slew of tzedaka projects came into being dedicated to Nancy’s memory – some are to private recipients and others more public. And I continued to follow the story through my friend…since there was no closure. As with many victims from the upper floors of the WTC, Nancy’s remains were not found at first. A burial plot was purchased in the Etz Chayim cemetery outside Beit Shemesh in the hope that one day, Nancy’s remains would be brought to burial in Israel…and the family waited. The psak halacha they received was not to sit shiva as long as there was a possibility that her remains could still be found. And then, just as the identification process was closing up and it was announced that all possible remains were identified…after 3 long years, DNA typing matched her remains, and were brought to Israel for burial. I never met Nancy, but I went to her funeral in Israel -- to the cemetery in Beit Shemesh. I clearly remember one of the eulogies; when most people are buried, the memorialization process starts…yet with Nancy, there was already an entire world continuing on in her memory. 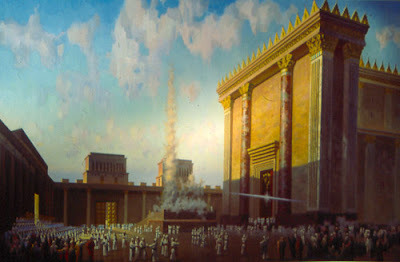 Torah was being learned in her memory, lives were being saved, tzedaka was given to all sorts of worthy projects and to needy individuals and families. Most of all, Nancy will always be remembered as an amazing friend to so many, whose passion, love of life and strict adherence to her convictions no matter what environment she was in, was an inspiration to all who knew her. May her memory be a blessing, a source of comfort for her family – as the projects in her memory continue to add goodness and holiness to the world. The fund is tax exempt. If you would like a receipt for tax purposes, please request one in your correspondence. More articles about Nancy are here, here and here. May her memory, all all those who perished in 911 be blessed.